We provide Legionella Risk Assessment and Legionella Water Testing Services through our Expert Fully Qualified Legionella Services Partner. Our partner is a full Member of the Water Management Society, and holds a City in Guilds and WMSoc accredited qualification in Practical Legionella Risk Assessment. They also have following memberships and accreditations that ensure their work is both safe, compliant and technically correct. CHAS accreditation, Safe Contractor accreditation and they are members of the Legionella Control Association and BSRIA. Our partner for Legionella services is fully qualified and conducts Legionella Risk Assessments that are fully compliant with HSE legislation. • An executive summary of your water system, along with a clear overall risk rating system. • A detailed audit framework for both the management system and control scheme, highlighting hazards. • A comprehensive recommendations guide that covers site remedial works and water management recommendations. • Listing of Assets, outlets, sentinel points and dead legs comprehensively, providing further clarity through risk evaluation and risk exposure survey. Our partner can also provide a microbiological testing service for Legionella. Microbiological sampling and testing utilising a UKAS accredited Laboratory. Legionella is a type of water-borne bacteria that can be found often in harmlessly low numbers in ponds, rivers and lakes. However, the bacteria can rapidly multiply to harmful quantities if they find their way into purpose-built systems where water is maintained at a temperature high enough to encourage growth, e.g. cooling towers, evaporative condensers, hot and cold water systems and spa pools used in all sorts of premises (work and domestic). There are over 40 different species of legionella bacteria. However, legionella pneumophila is considered the most dangerous as it causes about 90% of the cases of infection. Around 16 different sub groups of legionella pneumophila have been reported as the cause of infection. However, Legionella Pneumophila Serogroup 1 is the most associated with Legionnaires’ disease in the UK. Legionnaires’ disease is a serious lung infection caused by Legionella bacteria. People contract Legionnaires’ disease by inhaling small droplets of water (aerosols), suspended in the air, containing the Legionella bacteria. The infection isn’t contagious and can’t be spread directly from person to person. Once bacteria begin to infect your lungs, you may also experience symptoms of pneumonia. In some cases, Legionnaires’ disease can lead to further, life-threatening problems. Severe infection can cause some organs, such as your lungs or kidneys, to stop working properly. Another complication is septic shock. An estimated 10% of otherwise healthy people who develop Legionnaires’ disease die due to problems like these. What does the Law require for Legionella Risk Assessment? What does a Legionella Risk Assessment need to Include? 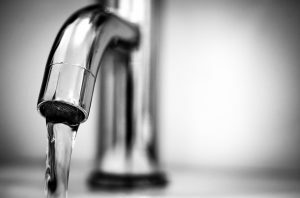 Is Water Testing for Legionella needed and How Often? Water testing for legionella is not always needed. It depends on the type of building, type of water system and the findings from the legionella risk assessment. ‘It depends on the system that you have and the outcome of your risk assessment. For open systems, such as cooling towers, evaporative condensers and spa pools etc, routine testing should be carried out at least quarterly. However, there may be circumstances were more frequent sampling may be required. How Often Should a Legionella Risk Assessment be Completed? – COSHH, regulations 7 and 9; HSW Act, sections 2, 3 and 4. These Regulations require employers to prevent, or where this is not reasonably practicable, adequately control, the exposure of any employees to substances hazardous to health. Employers are also required to maintain, examine and test control measures and, at suitable intervals review and, if necessary, revise those measures. They must also keep suitable records of examinations, tests and repairs of control measures. – ACOP L8 – The control of legionella bacteria in water systems (para 61 & 67 – 68) states. ‘Once the risk has been identified and assessed, a written scheme should be prepared for preventing or controlling it’. The written scheme information about the water system and the associated risk of exposure. If it is decided that the risks are insignificant and effectively managed in compliance with the law, then there may be no need for further action. ‘It is important to review the risk assessment regularly and specifically if there is reason to suspect it is no longer valid, for example changes in the water system or its use’. The primary focus should be avoiding conditions in which legionella bacteria can colonise and multiply, alongside the avoidance where possible of the creation of spray or aerosols. ‘Testing of water quality is an essential part of the treatment regime’. This can be carried out by service providers, water treatment companies, consultants or by the operator (subject to training and proper supervision). The test requirements depend on the water system. A suitably experienced and competent person should interpret the results of monitoring and testing, carrying out any remedial measures promptly, where needed. Microbiological monitoring of domestic hot and cold water supplied from the mains is not usually required, unless the risk assessment or monitoring indicates there is a problem. Legionella monitoring should be carried out where there is doubt about the efficacy of the control regime or it is known that recommended temperatures, disinfectant concentrations or other precautions are not being consistently achieved throughout the system. Where monitoring for legionella is considered appropriate in hot and cold water systems, sampling should be carried out in accordance with BS 7592 – Sampling for legionella organisms in water. The complexity of the system will need to be considered to determine the appropriate number of samples to take. To ensure the sample is representative of the water flowing around the system and not just of the area downstream of the fitting, samples should be taken from separate hot and cold outlets rather than through mixer taps or outlets downstream of TMVs or showers. Samples should be clearly labelled with their source location and if collected pre- or post-flushing. In both hot and cold water systems, samples should be taken, if considered necessary by the risk assessment. There should be a focus on areas where the target control parameters are not met i.e. where disinfectant levels are low or where temperatures are below 50 °C (55 °C in healthcare premises) for Hot water systems or exceed 20 °C for cold water systems. Also, areas subject to low usage, stagnation, excess storage capacity, dead legs, excessive heat loss, crossflow from the water system or other anomalies. 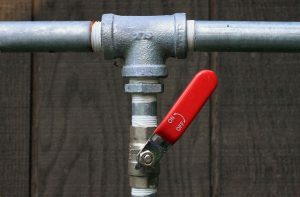 In cold water systems, samples should also be taken as required from the point of entry (or nearest outlet) if the water is supplied from a private water supply or where the temperature of the incoming mains supply is above 20 °C from the cold water storage tank or tanks. Samples should also be taken from the furthest and nearest outlet on each branch of the system (far and near sentinel outlets). 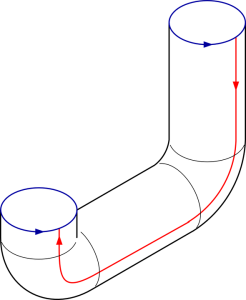 In hot water systems, samples should also be taken as required from the calorifier hot water outlet and from the base of the calorifier (if it safe to do so, as some systems are under considerable pressure), from the furthest and nearest outlet on each branch of a single pipe system (far and near sentinel outlets) and from the furthest and nearest outlet on each loop of a circulating system (far and near sentinel outlets). Our specialist Legionella partner has checked this information as of Nov 2017 but if you have any questions about Legionella please email info@safesmart.co.uk and our partner will then get in touch with you directly.